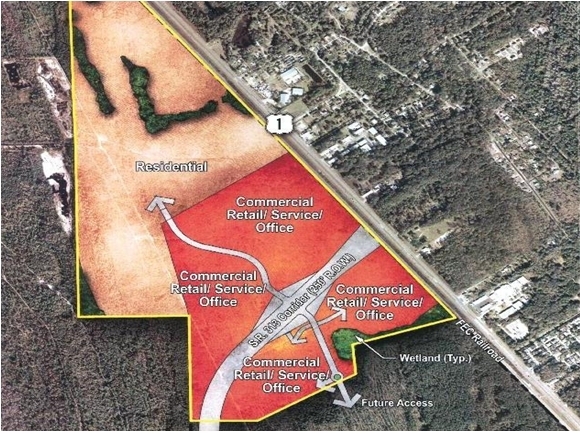 Cordova Palms is a contiguous parcel totaling over 581 acres located in St. Johns County located along Dixie Highway between St. Augustine and Jacksonville. The property’s current entitlements include 100,000 square feet of office, 900,000 square feet of retail, and a total of 750 residential units. The property is a mile from St. Augustine Airport.